Samoa - It may sound unfair, But a Polynesian airline in fact impose a surcharge for obese passengers. There are several reasons they put these rules. It is Samoa Airlines, the airline that enforces the unusual rules. 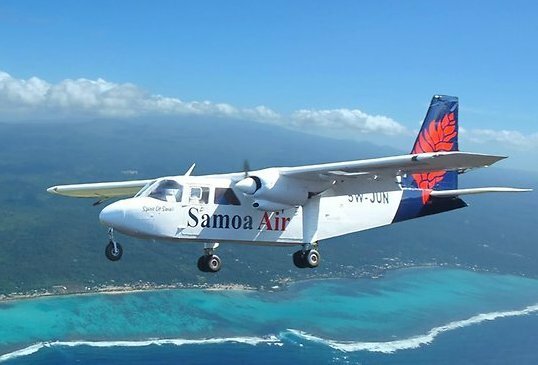 Samoa Air has started operating in the Pacific region since last year. As reported by news.com.au, Samoa Airlines Chief Executive, Chris Langton said the payment system based on weight is the most fair. "People have always traveled by a seat, but the airline operators, airlines flying not flying by weight, especially small aircraft," said Langton told ABC Radio. Langton continues, there is no doubt about the concept of paying it later. "We always consider the weight on the plane, and requires that you pay by weight no matter the weight of persons or goods," said Langton. So, passengers traveling using the Samoa Air will be asked to enter weight when booking seats. They will pay by weight, per Kg. Costs of around AUD 1 / kg for domestic flights. This applies to both body weight and also goods carried. However, the traveler that will be flying from Samoa into American Samoa, you are required to pay USD 4.16 / kg. Langton believes that there will be many passengers were surprised by this provision. "This is the fairest way. You can put luggage without fear of additional charge for excess baggage," said Langton.